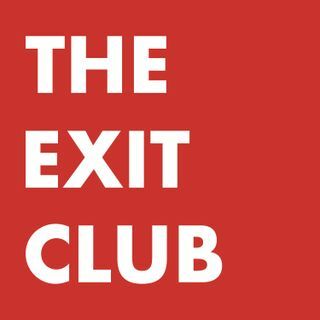 The first guest on THE EXIT CLUB podcast is Laurel Touby, the former CEO and founder of Mediabistro, a media industry resource based in New York City. Laurel first launched in 1994 as a set of networking parties, but she grew that list of attendees into a customer database on which to build a company. Mediabistro served as a hub of networking, education and gossip for the media industry, through its sale to Jupitermedia (now WebMediaBrands) in 2007. Laurel personally pocketed $13 million of the ... Más informaciones $23 million deal size, and stayed on with the acquiring company for a few years of an earn-out period. In our conversation, she talked about challenges post-exit around friends and colleagues who came looking for payouts, the way the media covered her sale, and finding her way into her next chapter. But she also talked about the “bliss” she felt for a full two years following the deal, and the wise strategy she and her husband, journalist Jon Fine, took to creating an investment and spending plan for their financial windfall. Laurel is currently managing partner of Supernode Ventures and Head of The LoftSpace SFO. About Laura Rich: Veteran journalist and serial entrepreneur Laura Rich exited her business in February 2017. She is also the author of the Paul Allen biography The Accidental Zillionaire and a former columnist for the New York Times. About Fratzke Media: We are solution engineers who specialize in telling stories in the Eight Channels of Digital Marketing. Our team of storytellers excel in leading digital transformations, and exceeding your expectations is our top priority.